Promising competition mare for four gait and tölt . Daughter of Hágangur frá Narfastöðum (8.31) and Miskunn frá Keldunesi II. Sigurlín frá Húsavík is a 7 year old dark bay mare. Her father is the four gaited stallion Hágangur frá Narfastöðum (8.31) and her mother is Miskunn frá Keldunesi 2. Sigurlín is the sister of the well-known competition horse, Sigur frá Hásavík. Sigurlín is not big but very talented. She has very good, even gaits with a great speed range. Her spirit and temperament are quite unique. She is always ready and always tries her best. At the same time, she is extremely easy to ride. 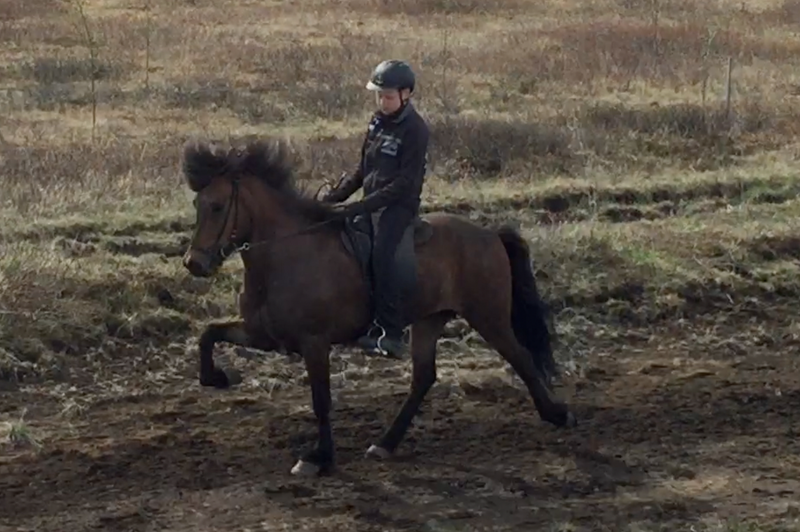 Sigurlín can be ridden by almost anybody. She would be a suitable competition horse for a less experienced rider but could also do very well in a high level competition. She would also make the perfect trail riding horse. Great character and 100% safe.